Ever had a Prickly Pear Margarita? Well, then it’s time you do. Unwind at our bar with our freshly mixed signature drinks. Of course, we serve various Appetizers that go well with the Golden Goose’s innovative cocktails or a good glass of wine from our extensive wine list. Don’t leave without trying a local microbrew. 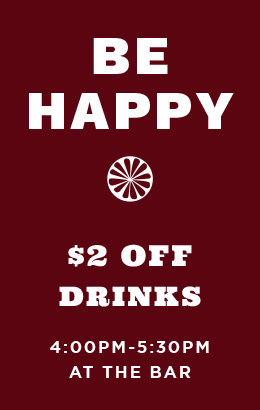 Happy Hour is 4.00pm-5.30pm daily and features $2 off all drinks.